Will we see you at a homeschool convention this year? After a whirlwind of conventions last year, Stacy decided to stay close to home in 2019. But she's giving three workshops at the 2019 ICHE Family Conference. The family conference will be held from May 30 thru June 1st at the lovely facilities of the Olivet Nazarene University in Bourbonnais, Illinois. Registration for the conference should be opening soon. Hope to see you there! May 30-June 1, 2019: ICHE Family Conference, Olivet Nazarene University in Bourbonnais, IL. July 19-21, 2018: St. Charles Convention Center, 1 Convention Center Plaza, St. Charles, MO 63303. June 14-16, 2018: Ontario Convention Center, 2000 E Convention Center Way, Ontario, CA 91764. May 31-June 2, 2018: ICHE — Calvary Church, 9s200 State Route 59, Naperville , IL 60564. April 12-14, 2018: GHC — Duke Energy Convention Center, 525 Elm St., Cincinnati, OH 45202. March 15-17, 2018: GHC — Fort Worth Convention Center, 1201 Houston St., Fort Worth, TX 76102. March 8-10, 2018: GHC — TD Convention Center, 1 Exposition Dr., Greenville, SC 29607. You care about how you invest your time. You’re trying hard to maximize your potential. Some days you feel like a “rock star.” Other days…not so much. Too often, you simply feel exhausted. So many people depend on you. Life’s demands are relentless. There’s no time to rest. Despite your best efforts, your “to do” list grows faster than you can possibly cross things off. Life feels crazy and chaotic…like things are spinning out of control. 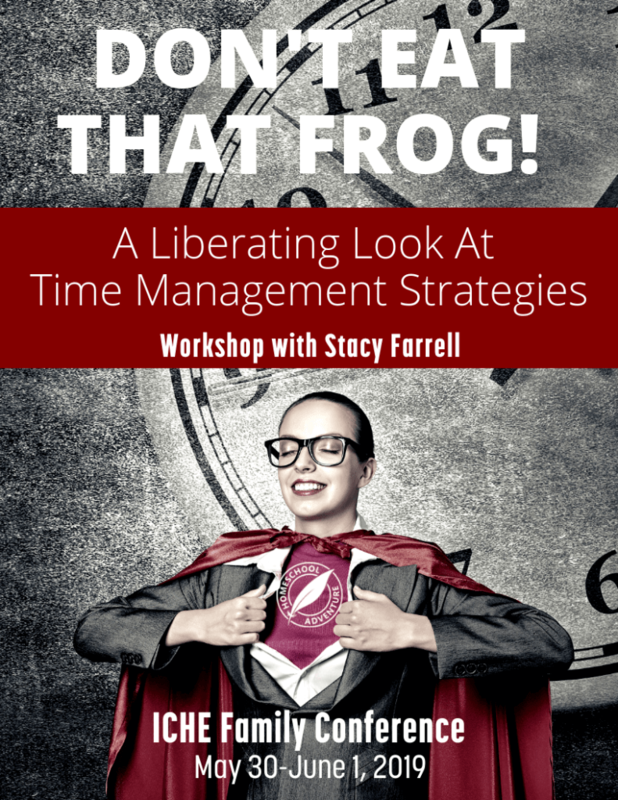 Come learn five time management strategies that can help you escape the chaos and make the most of your days! In this “Age of Tolerance,” Christians are in danger of forgetting what distinguishes the worldview of the believer from that of the unbeliever. 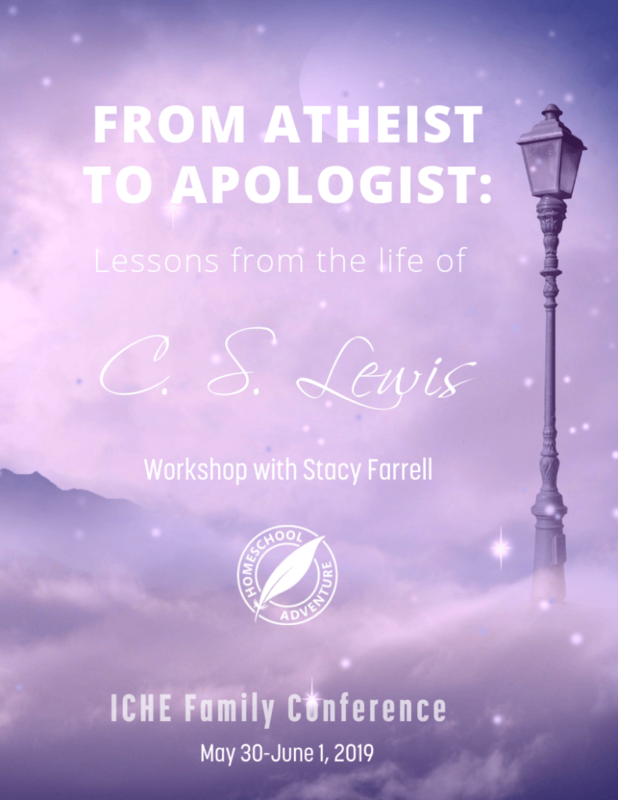 Discover how you can use the life and work of C. S. Lewis to help your children gain a biblical perspective on the timeless philosophical questions which arise in the mind of any truth seeker. Bring Joy and Excitement to Your Student’s Writing! Learn how you can inspire your students to think critically and biblically—and develop essential writing skills—using methods that help unleash their creativity. Even students who considered themselves “non-writers” have produced surprisingly creative work using these techniques. 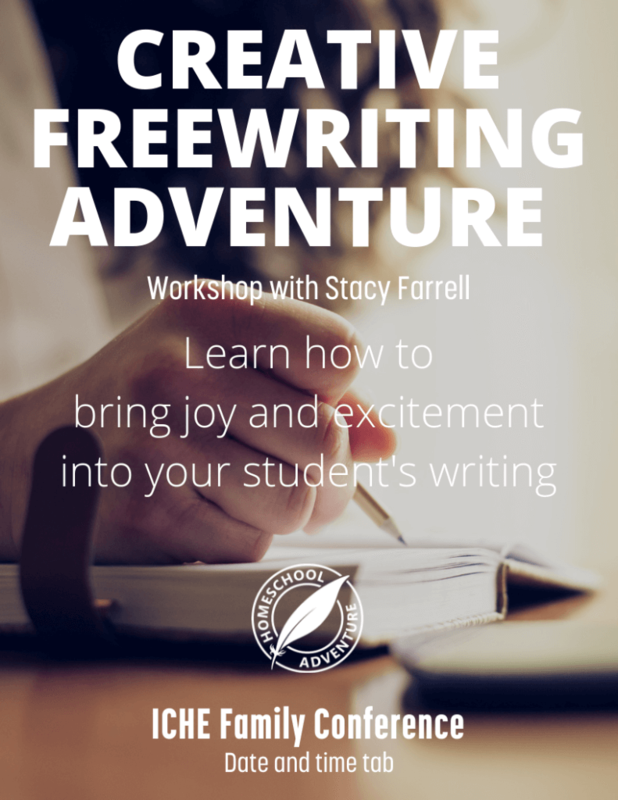 Join Stacy Farrell as she shares ideas on how to bring joy and excitement into your student’s writing.